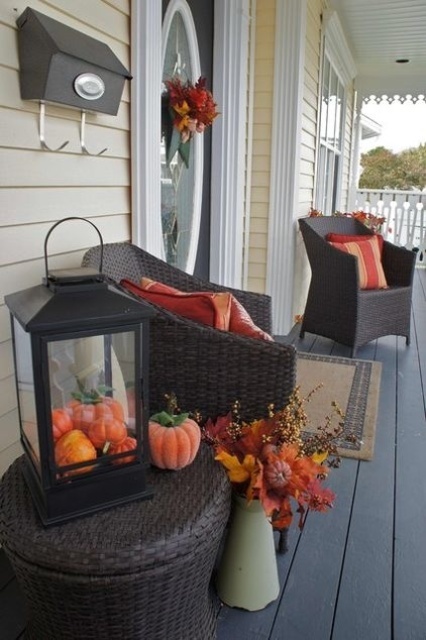 Fall is so cozy and sweet! 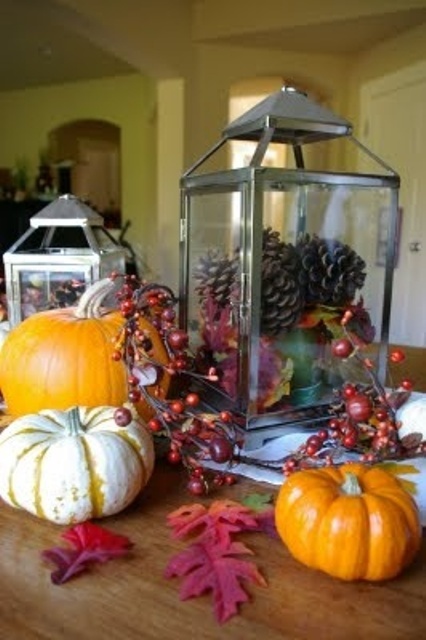 I think it’s the only season when we use so many natural things like fruits or vegetables for décor. 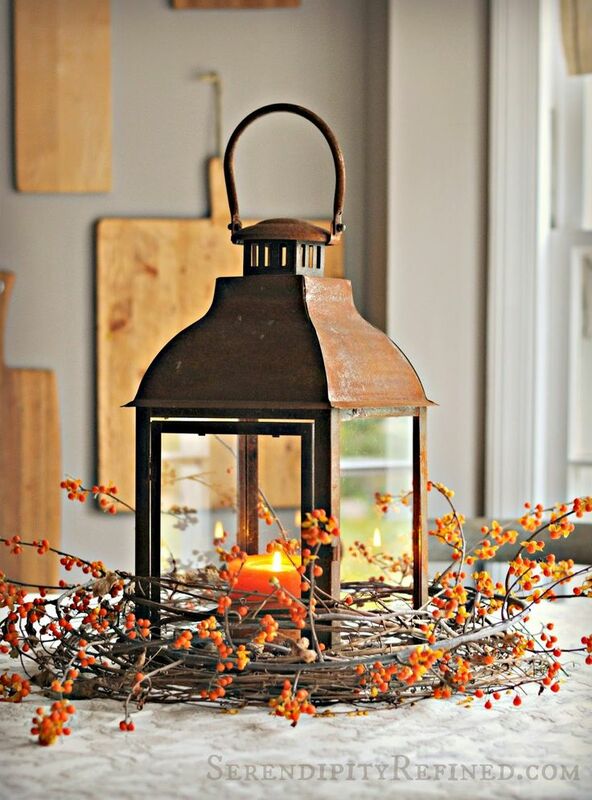 Lanterns add coziness, no matter, if you use them for light or only for décor, and, of course, they bring a rustic feel. 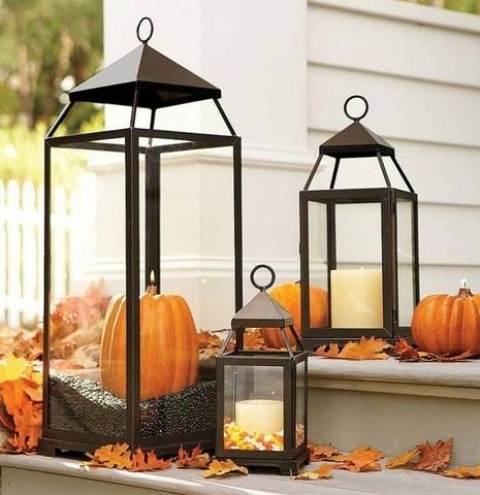 You may choose them for outdoor and indoor décor – they are great for both, and if you want to place a candle inside – it won’t be snuffed thanks to the glass of the lantern. 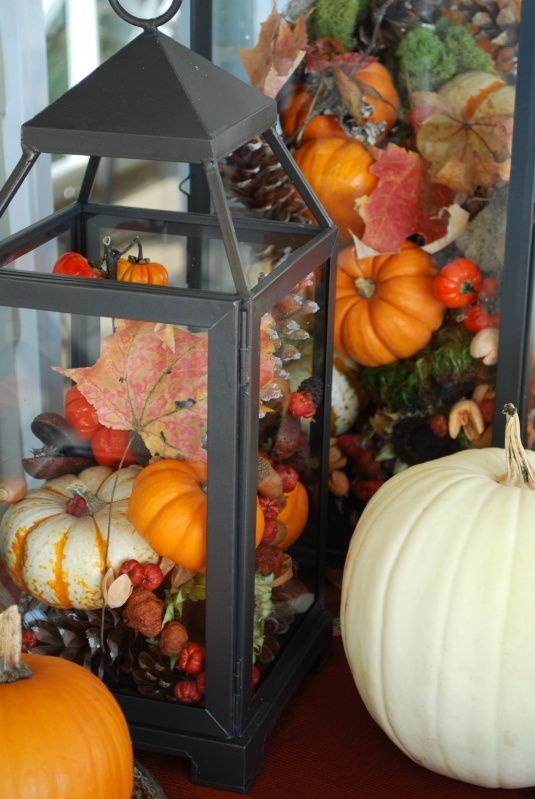 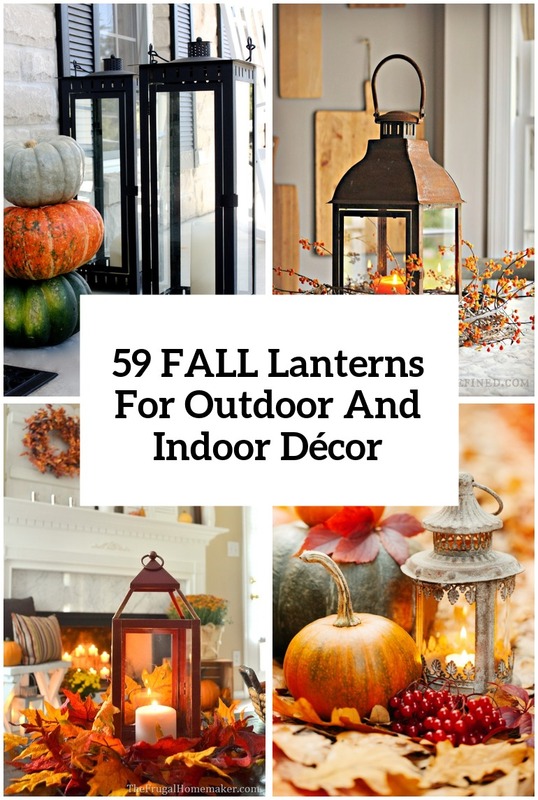 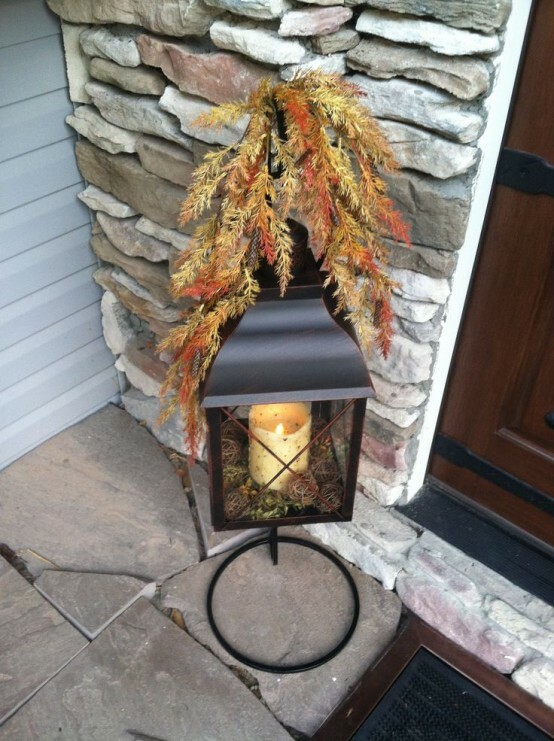 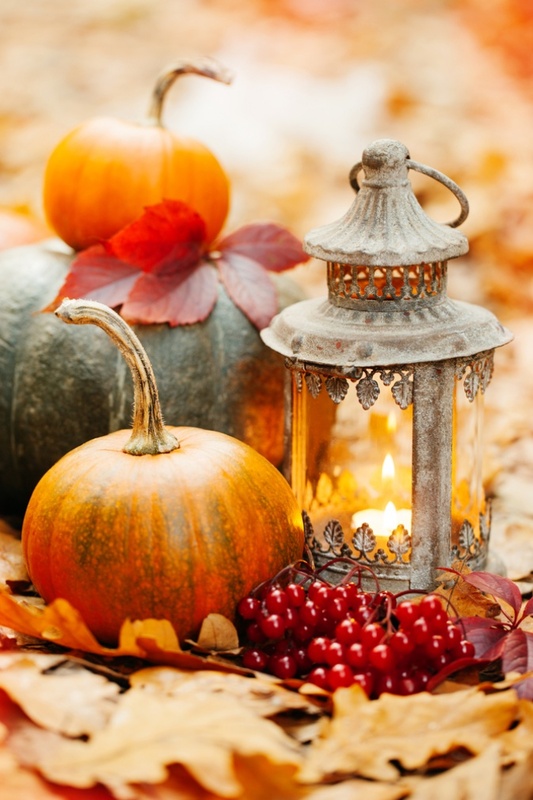 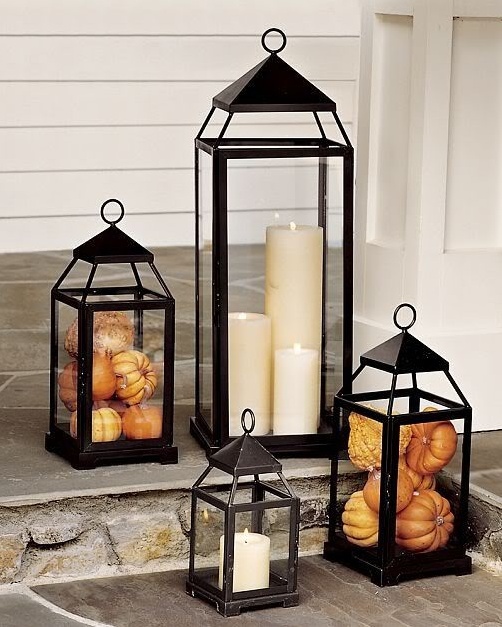 If you aren’t looking for a traditional fall lantern with a candle – just stuff it with whatever you like: pumpkins, flowers, leaves, nuts and so on. 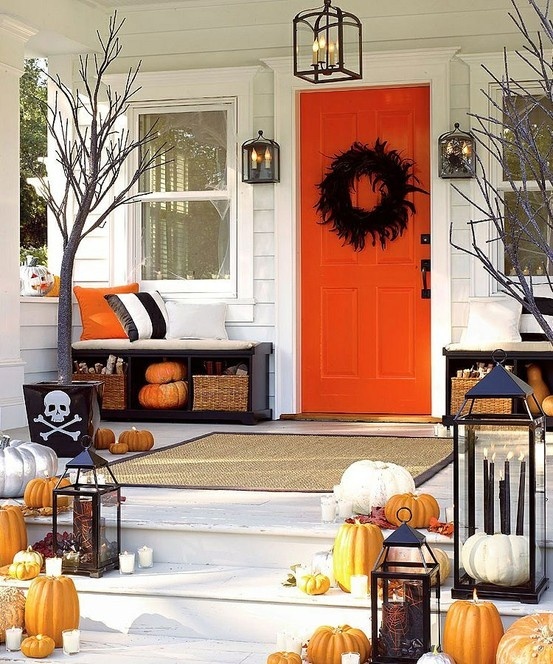 Have a look at the ideas below and enjoy! 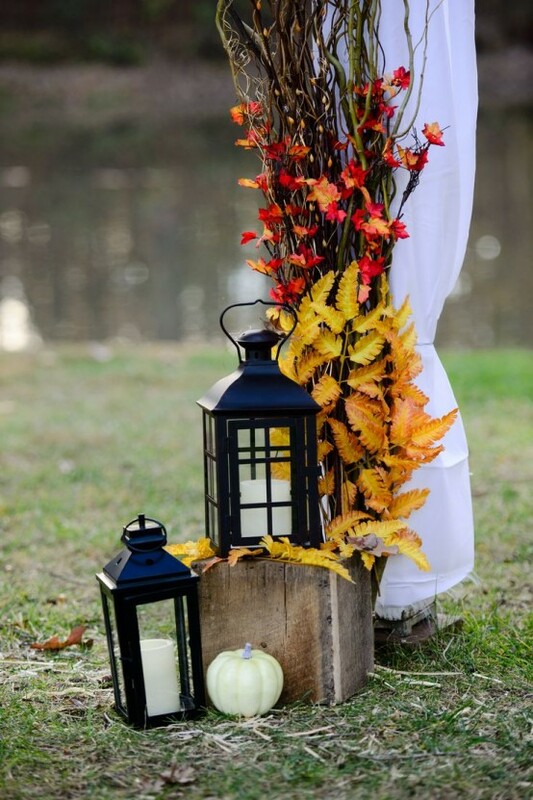 To make really beautiful arrangements always use several lanterns in different sizes. 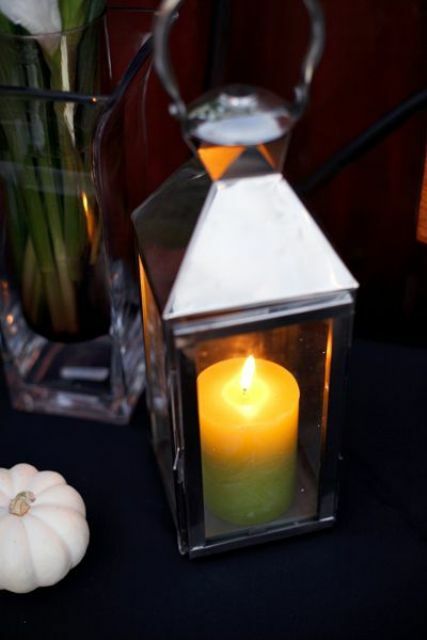 Battery powered candles controlled by a timer is a modern way to create beautiful glowing arrangements. 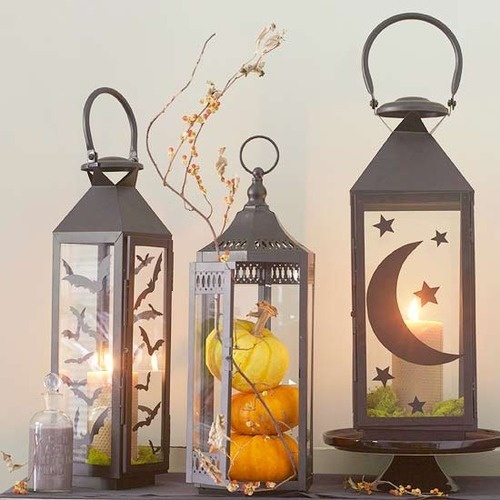 If you drill a bunch of holes in hollow pumpkins and add candles there you'll get yourself very original lanterns for fall's decor. 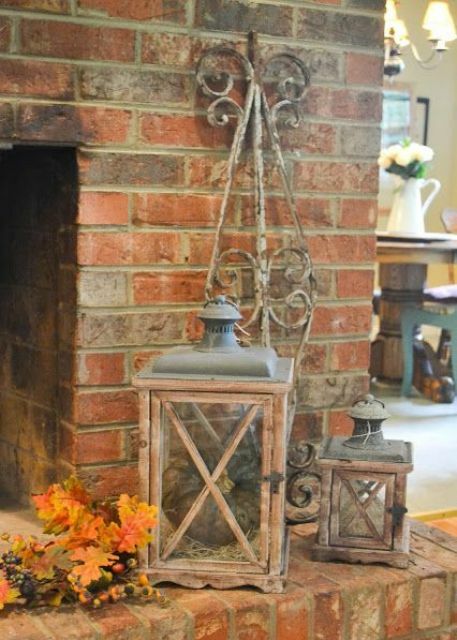 If your lantern is rusty don't worry. 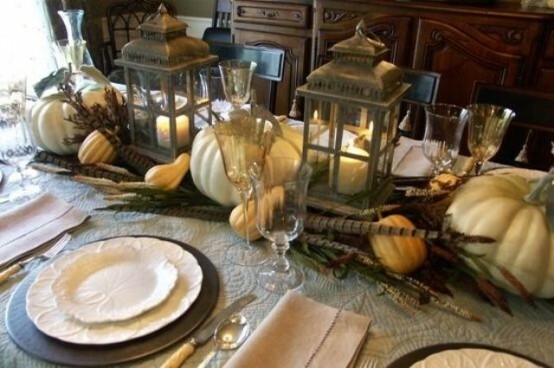 It'd look even more nature surrounded by bittersweet twigs. 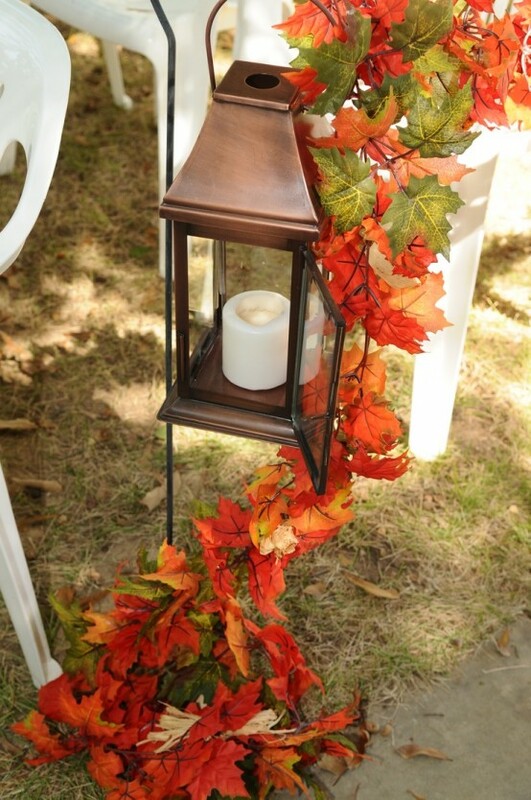 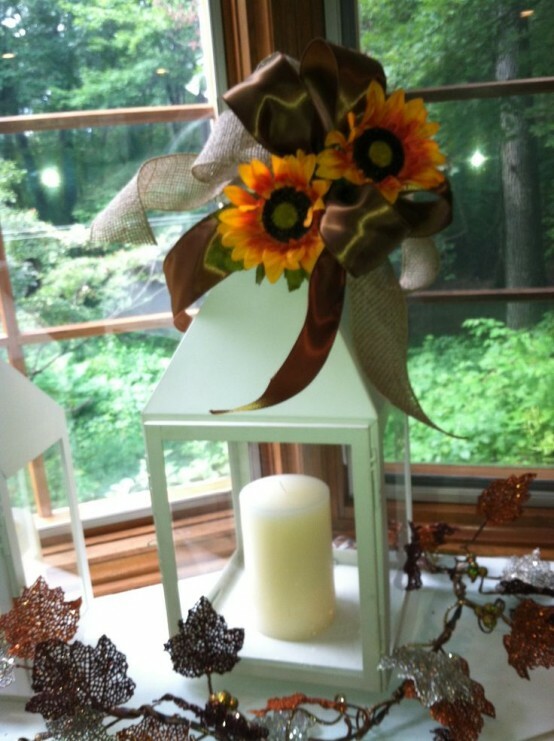 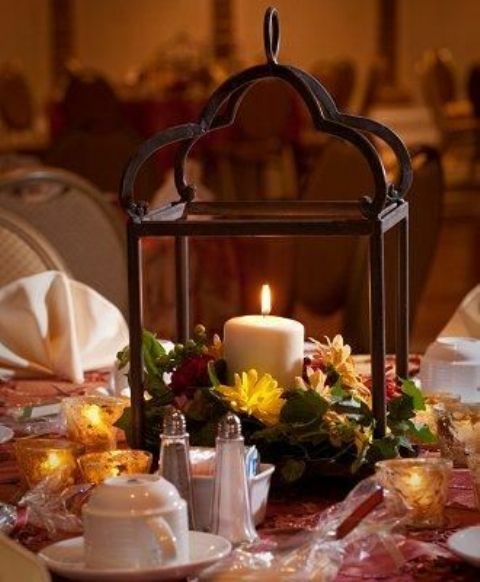 It's a great idea to use such simple fall lantern for wedding tables if you plan a fall's wedding. 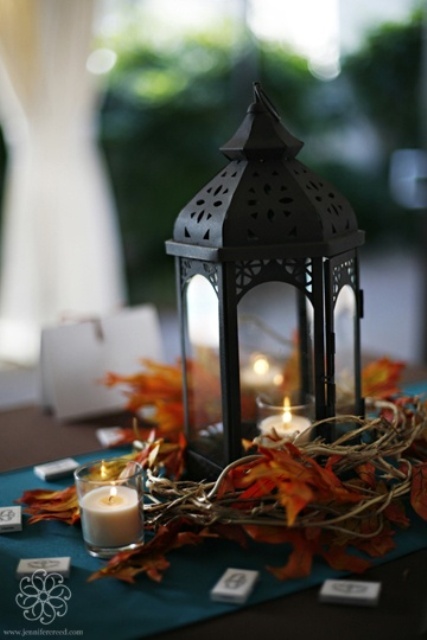 It's a quite popular idea to use lanterns with candles for wedding decor. 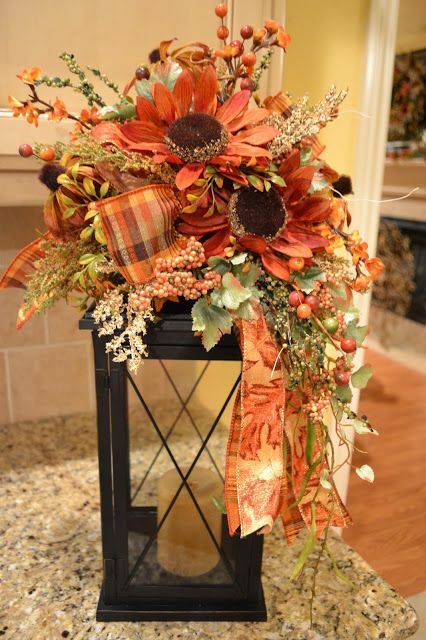 Little bouquets of fall blooms on top of them would be great way to personalize them. 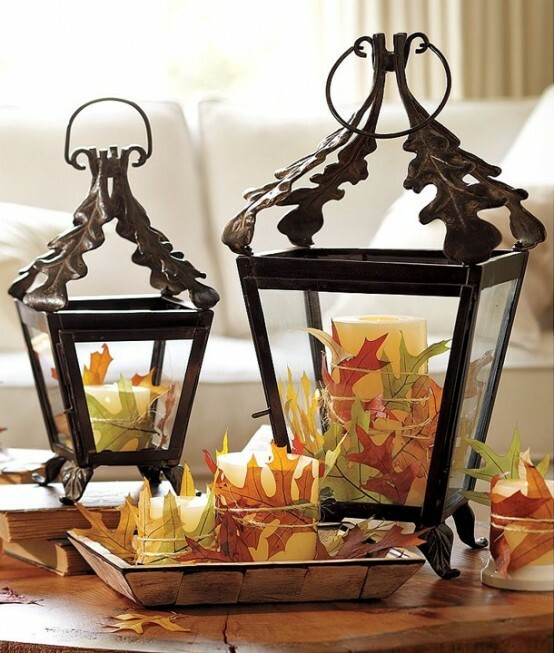 Cover several candles with fallen leaves in different colors. 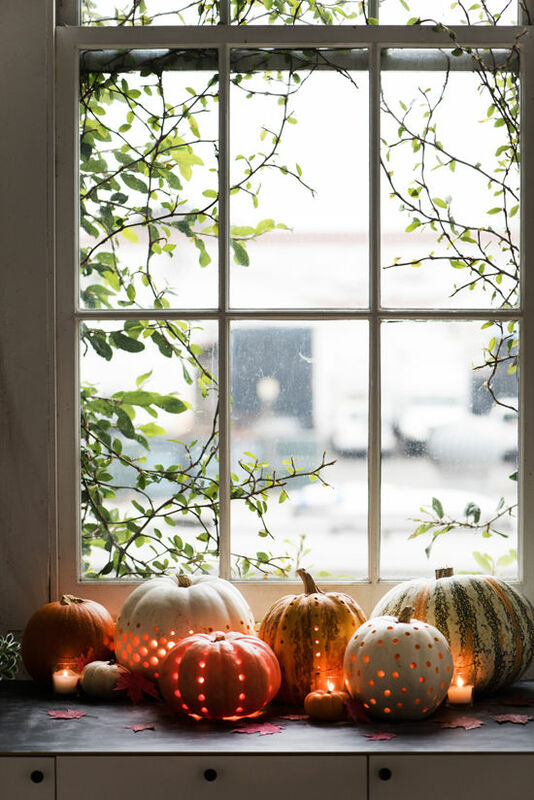 You can attach them by simply using twine. 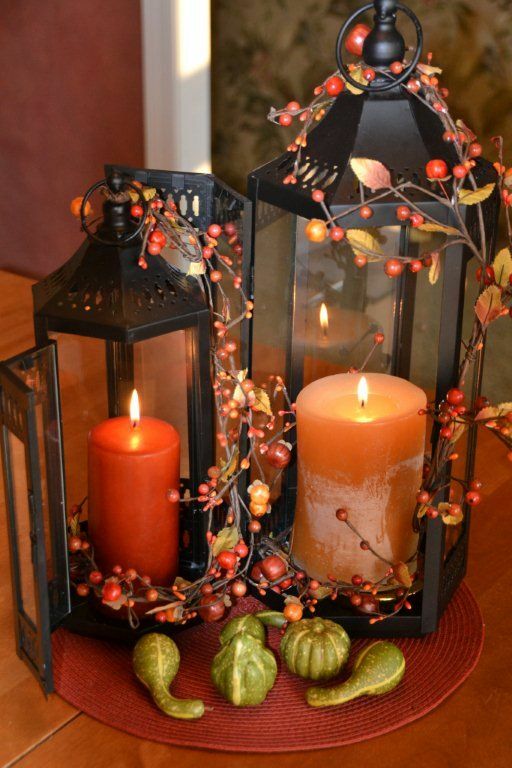 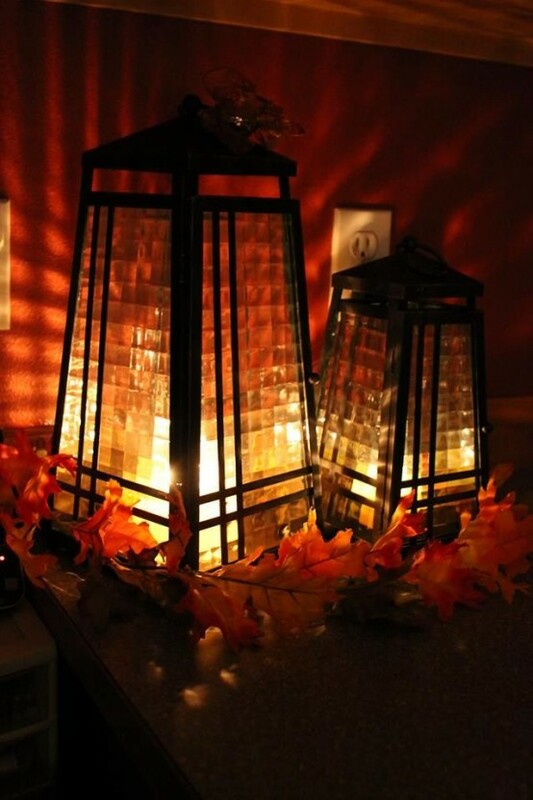 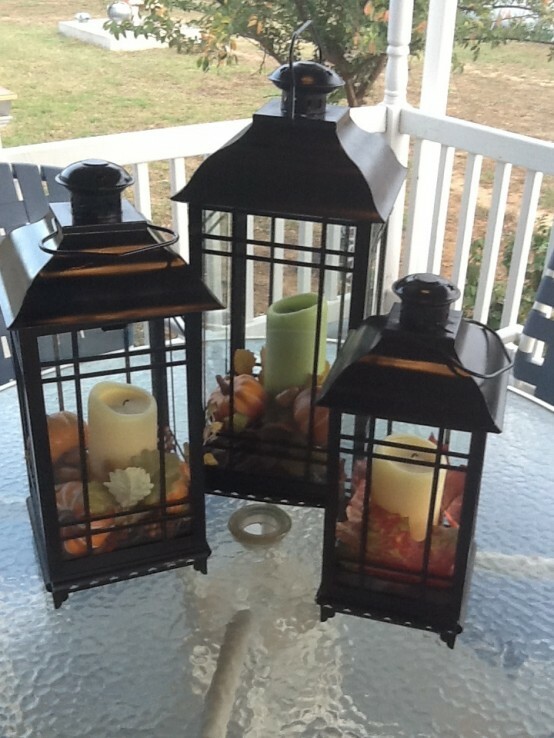 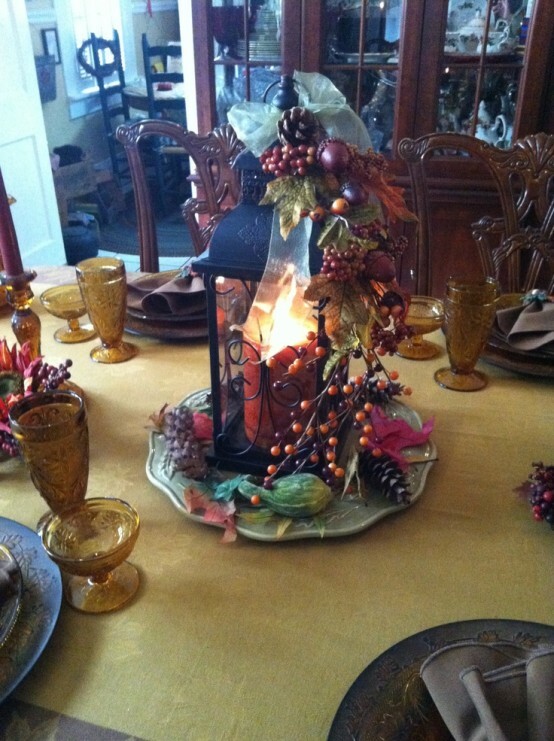 Place these candles into vintage lanterns and you got yourself a beautiful Fall centerpiece. 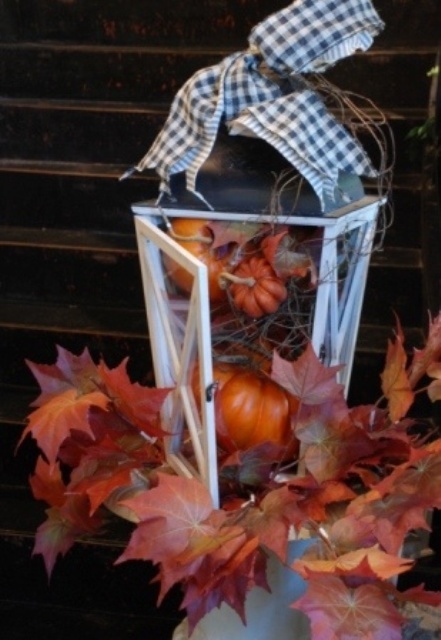 Woven lanterns is a great solution to light up your front porch stairs. 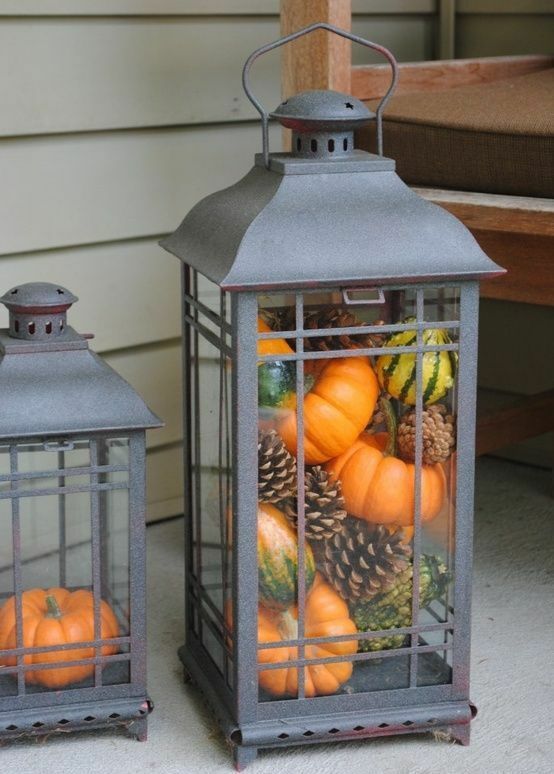 If their size allows, stuff you lanterns with pinecones. 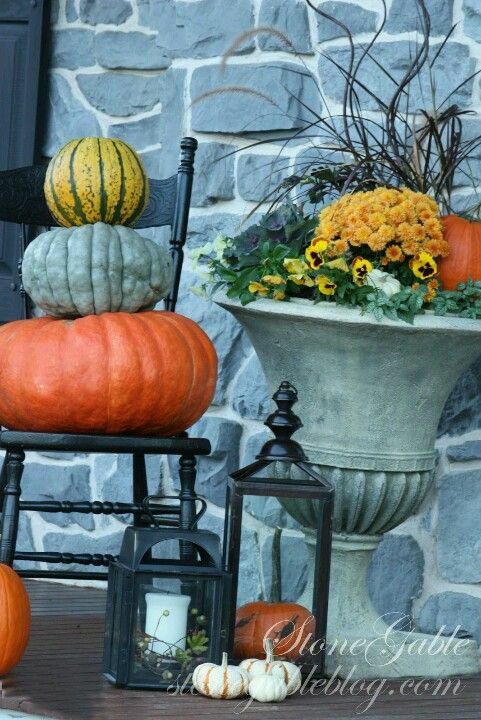 They would become great additions to any arrangements. 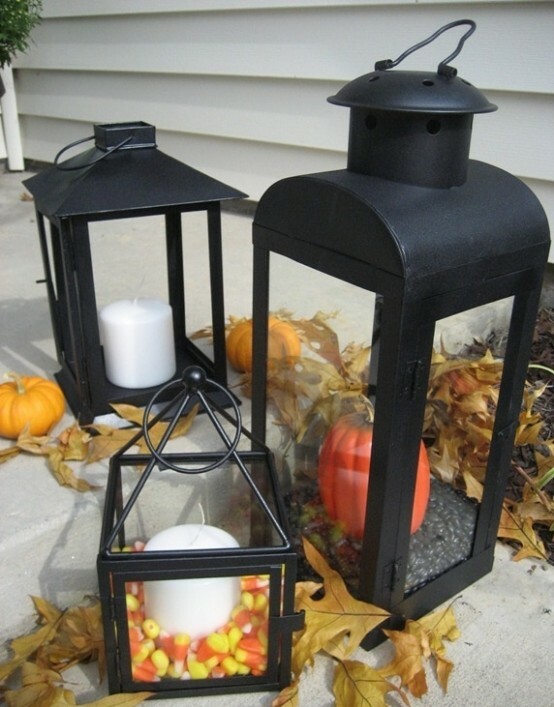 Stuff a lantern with pumpkins and put it on a table on your porch. 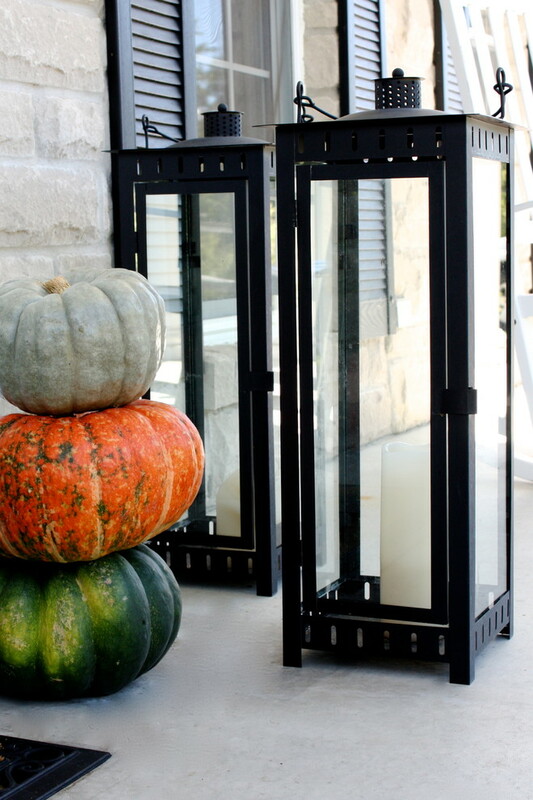 YOu've got yourself a simple yet stylish seasonal display. 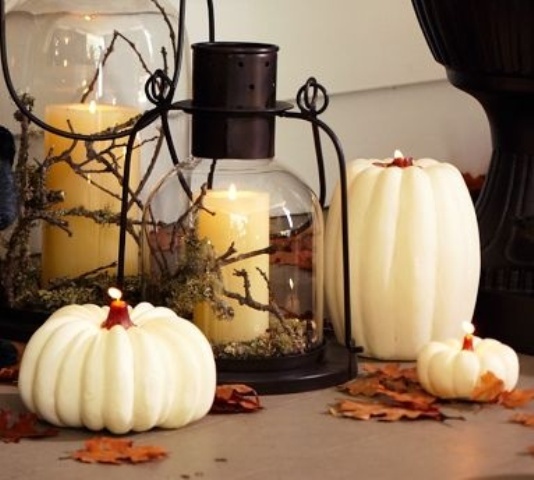 For a more original look make several holes in a pumpkin and put several candles in it. 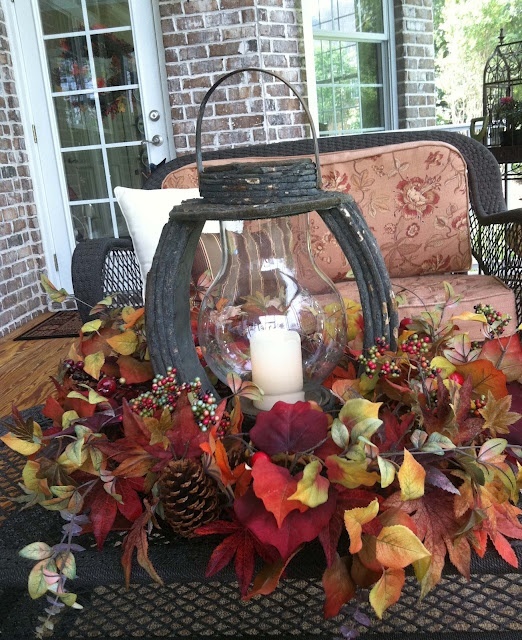 You can use what you've made as a fall centerpiece as it is. 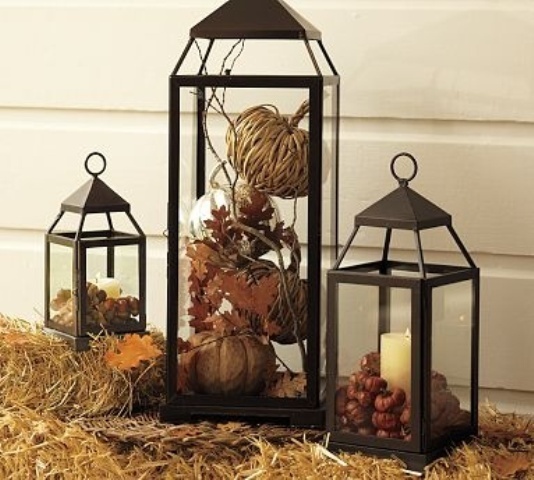 Although you can put it in a lantern to make it even more original and protected if you decide to use it outdoors. 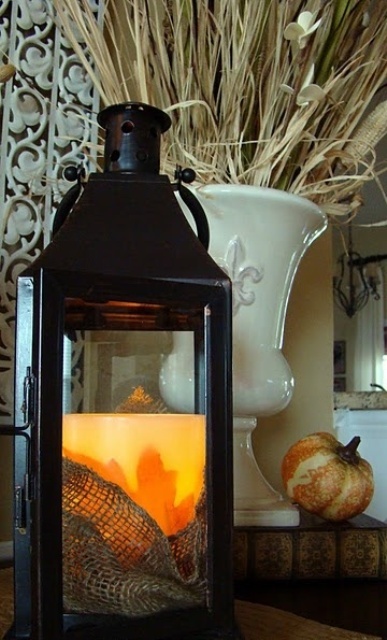 Cut a bunch of silhouettes and glue them to lanterns to make a great piece of decor for Halloween. 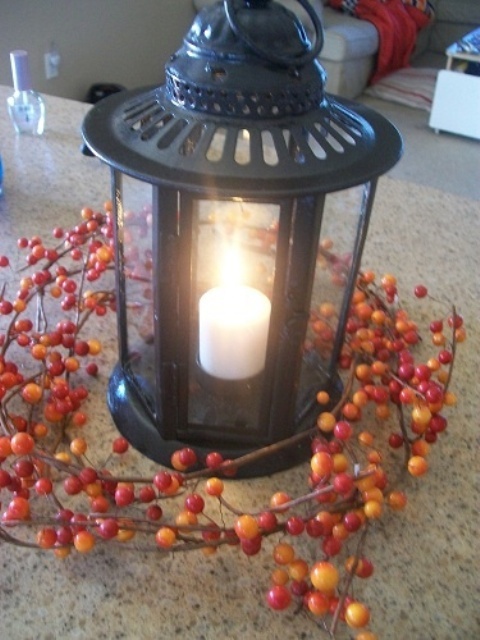 Adding a bunch of nuts to a standard candle lantern would make it looks more seasonal. 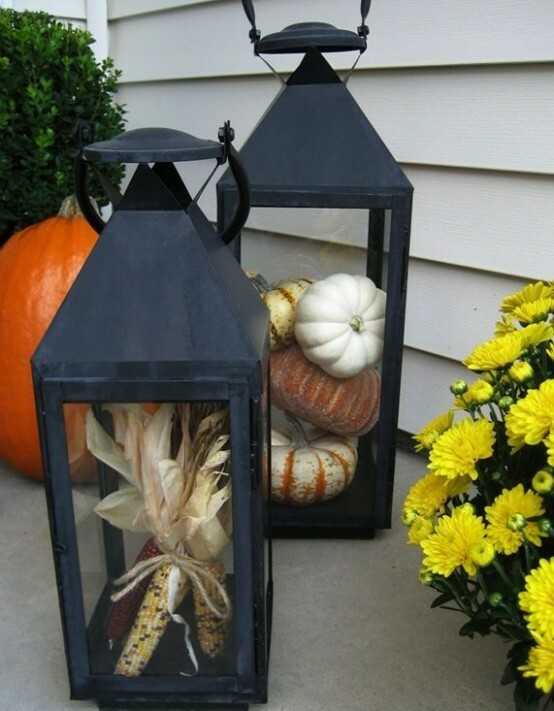 You can stuff lanterns with not only pumpkins but with other products of autumn's harvest, like corncobs. 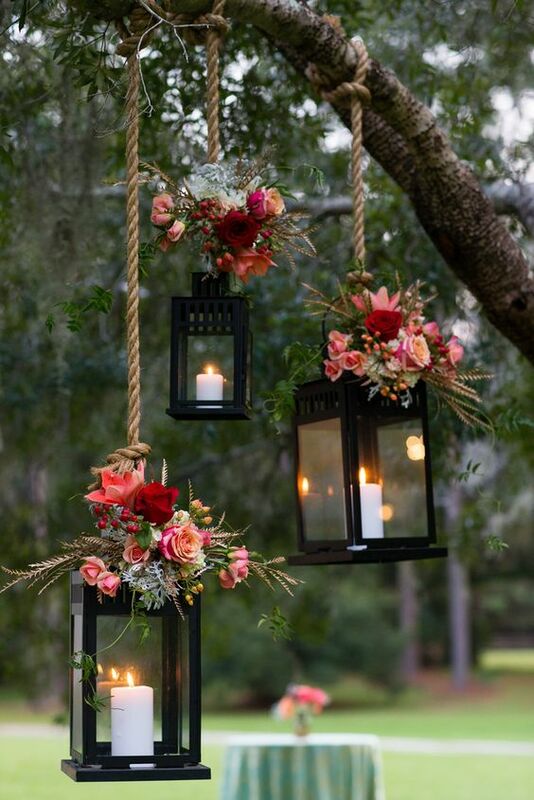 You can connect several lanterns in one centerpiece with several twigs with berries. 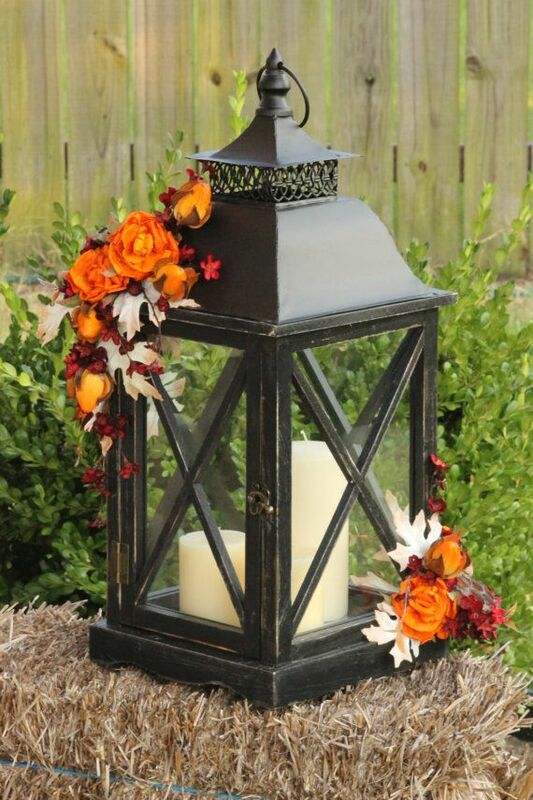 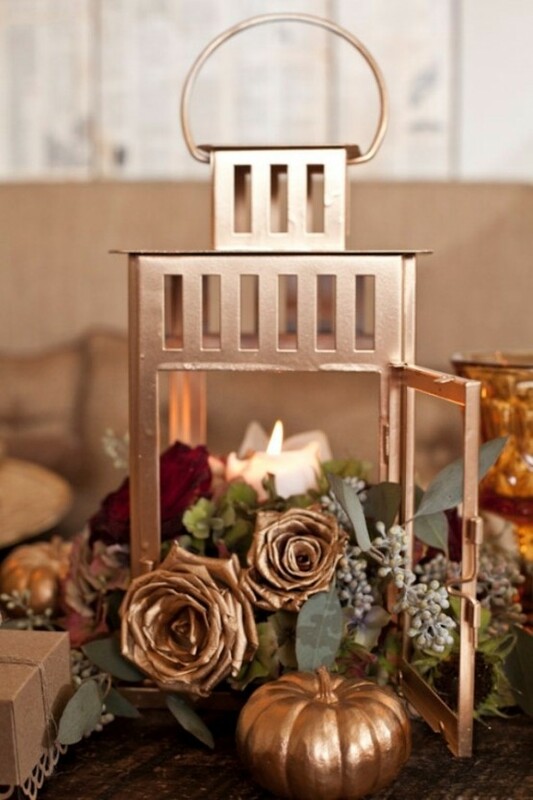 A large enough lantern could become a great stand for a fall blooms bouquet. Mixing small gourds, pumpkins and pinecones is a simple way to stuff your lanterns. 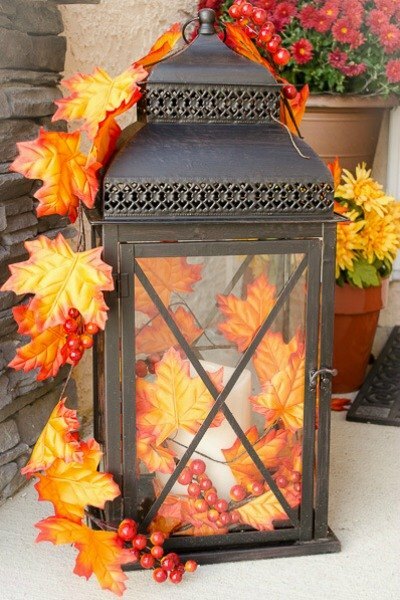 A garland made of faux autumn's leaves and berries is a really easy way to decorate a lantern and to add a touch of fall here and there. 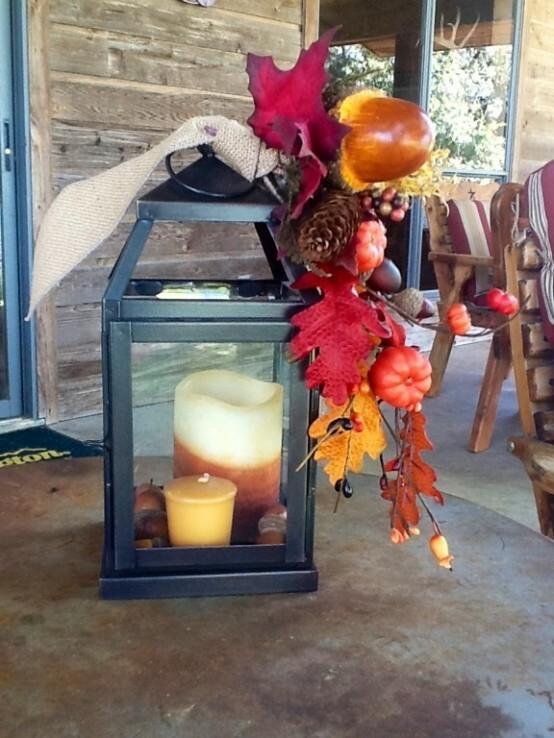 Pumpkins and burlap is an ultimate autumn's mix that can be used to make a wreath as to stuff a lantern. 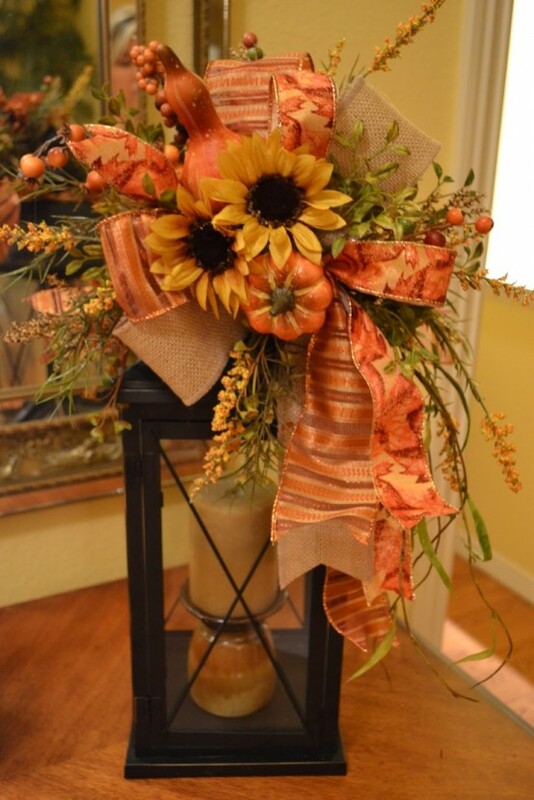 A little bow of ribbon in popular fall colors would be a great addition to any decor piece you have in mind. 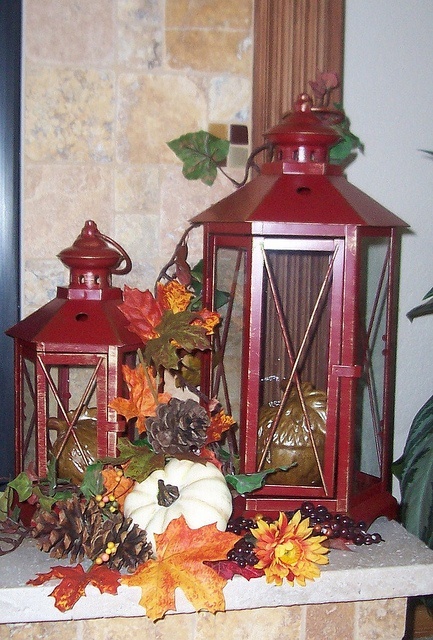 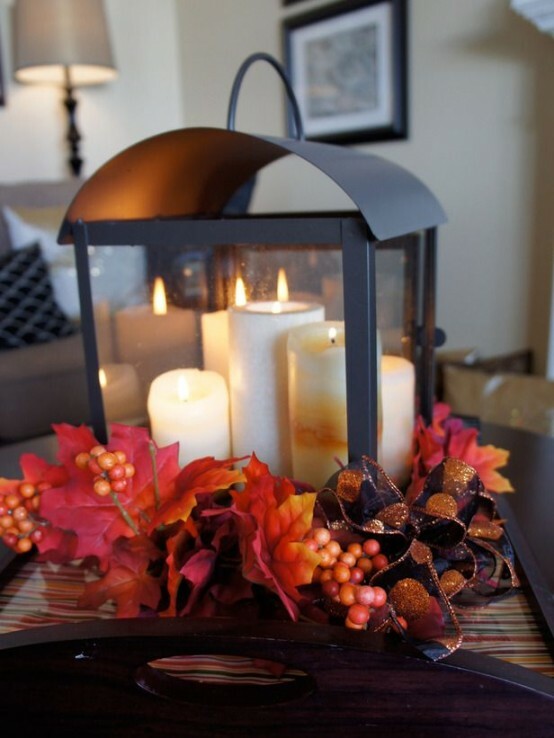 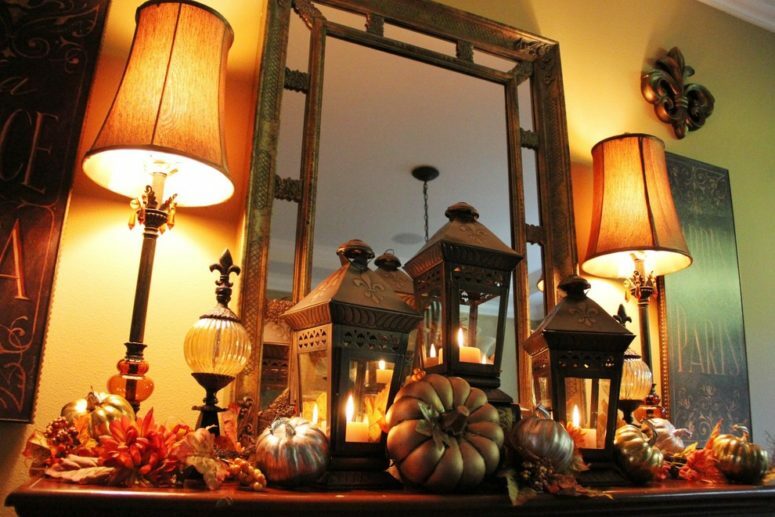 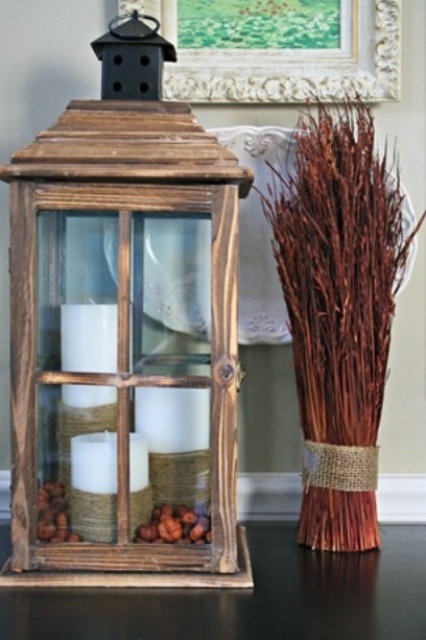 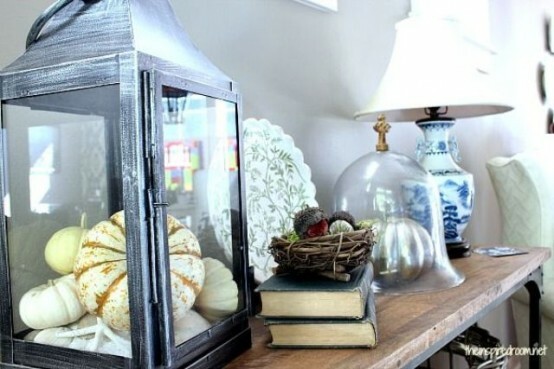 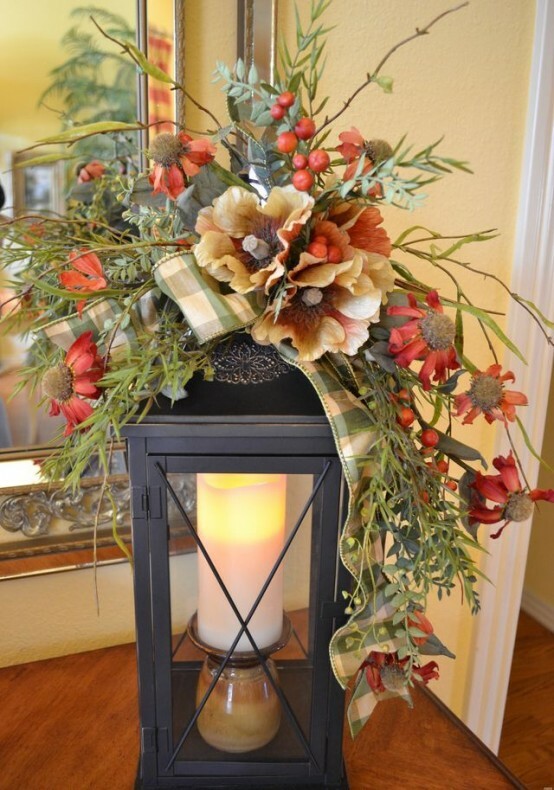 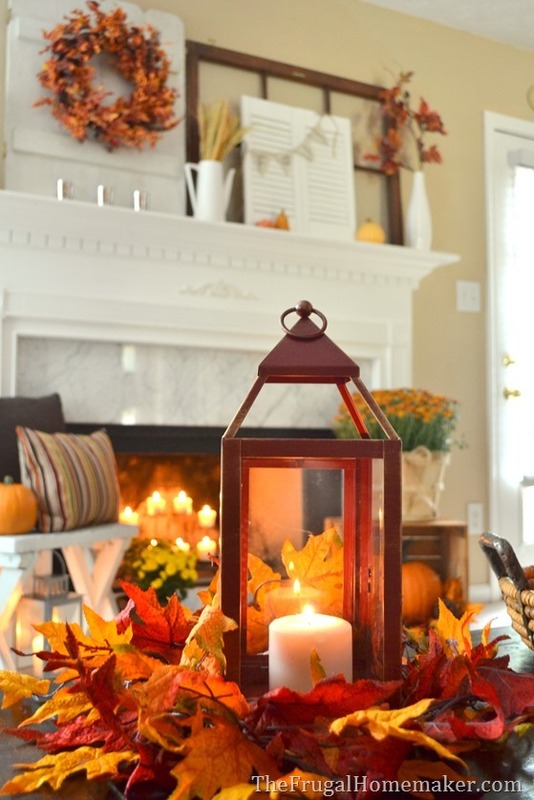 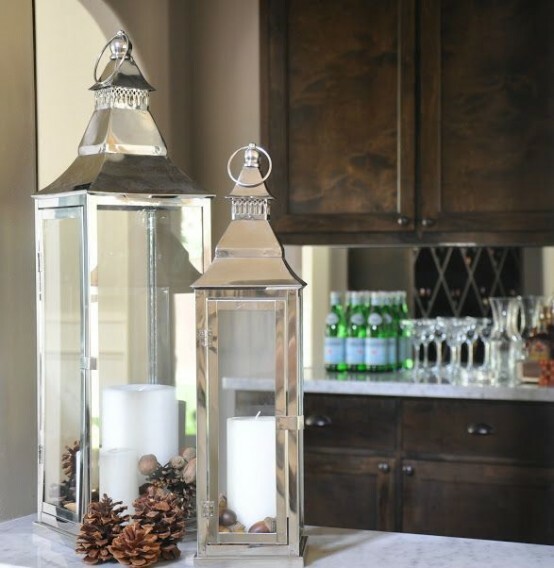 If you're searching for ideas to decorate your mantel for fall then think about lanterns. 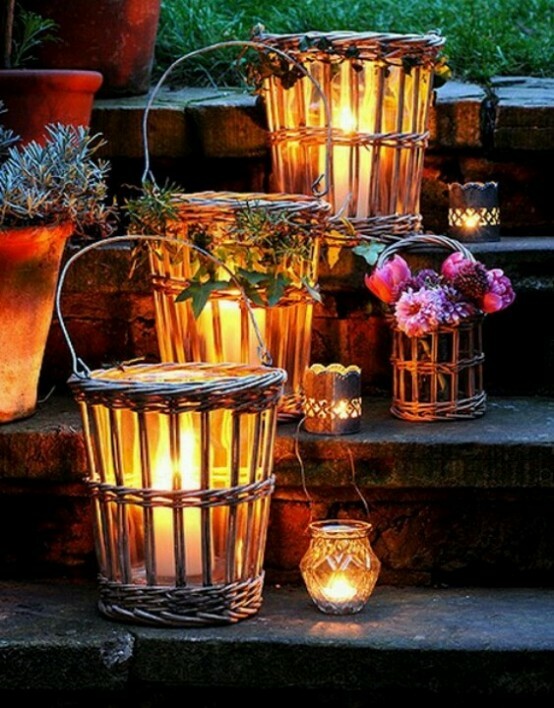 Here how cool it would look with a glow from candles in these lanterns. 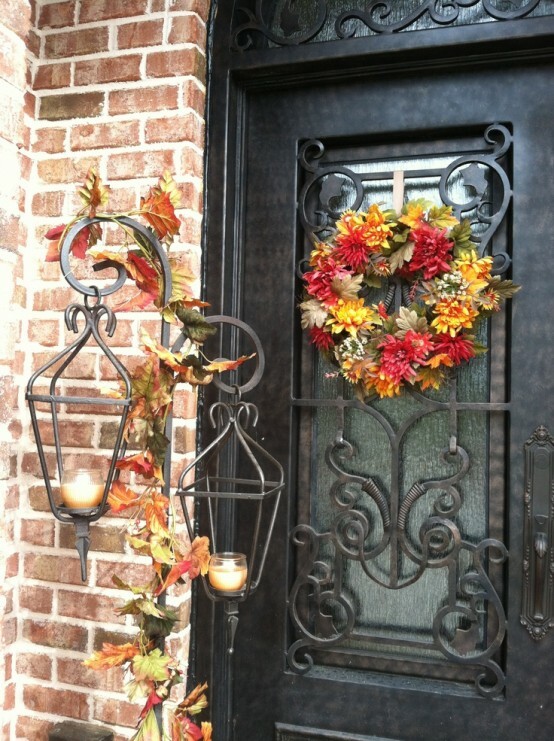 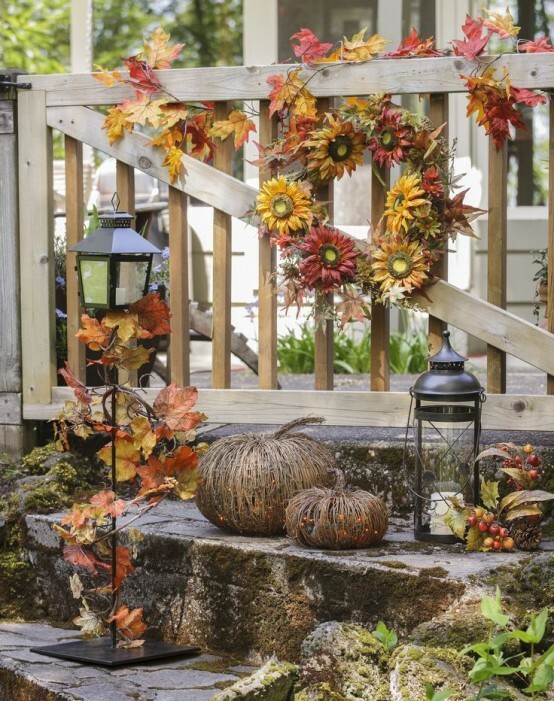 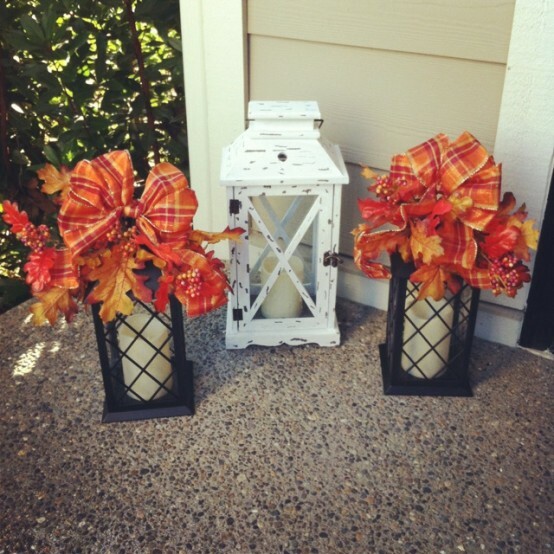 Faux leaves and pumpkins would be better if you decide to use your fall lantern outdoors. 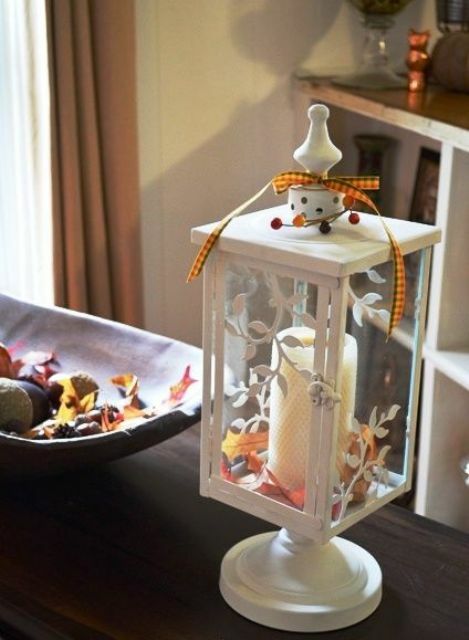 If you wonder how to decorate a lantern just add a ribbon boy to it. 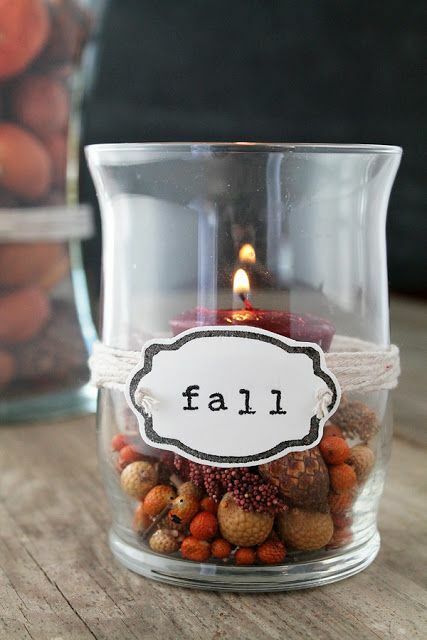 That would make it cutier right away. 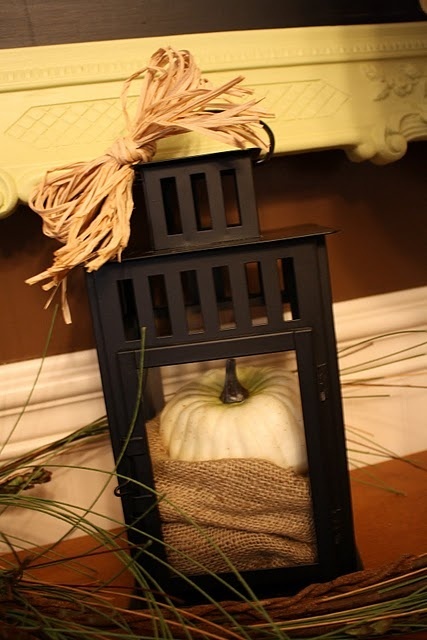 You can use a coat stand to hang a bunch of lanterns on it if the space is at a premium.